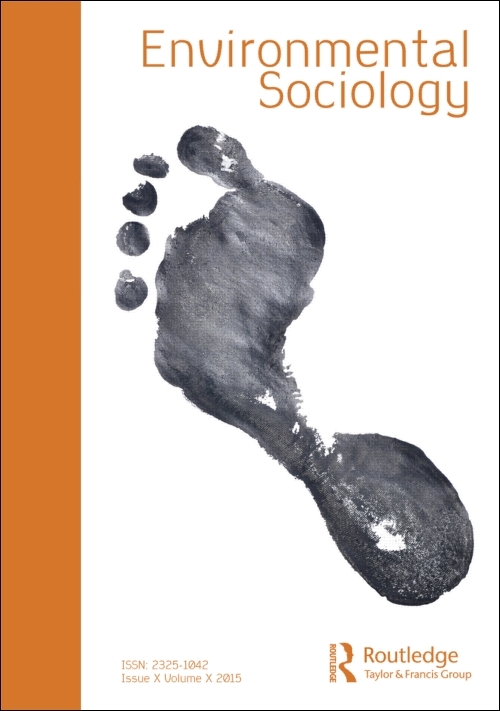 Environmental Sociology is a new journal, established by the RC24 community in collaboration with Routledge. The first issue is scheduled for early 2015, and there will be four issues every year. Articles in the journal will be available for RC24 members in good standing. Environmental Sociology is dedicated to applying and advancing the sociological imagination in relation to a wide variety of environmental challenges, controversies and issues, at every level from the global to local, from ‘world culture’ to diverse local perspectives. As an international, peer-reviewed scholarly journal, Environmental Sociology aims to stretch the conceptual and theoretical boundaries of both environmental and mainstream sociology, to highlight the relevance of sociological research for environmental policy and management, to disseminate the results of sociological research, and to engage in productive dialogue and debate with other disciplines in the social, natural and ecological sciences. For more information, as well as on how you submit an article, click here.